Sweep, mop, wax, strip, scrub, and buff all types of floor surfaces. clean carpets with an extractor. Must be able to pass a criminal background check, motor vehicle check and drug testing. 5 years’ experience as a floor tech in a related work environment required. Must have a strong knowledge of striping, waxing, buffing, and cleaning all floor surfaces. Ability to work different hours as needed. Functions as a member of the Home Dialysis Team as the Home Therapy Staff Nurse. Ensures provision of quality Home Dialysis Training and patient care in accordance with FMS policies, procedures and the UltraCare at Home principles. Supports FMCNA’s commitment to the Quality Assessment Performance Improvement Program (QAPI)) and CQI activities, including those related to patient satisfaction. Actively participates in Quality Assessment Performance Improvement (QAPI) process that may enhance the likelihood that patients will achieve established FMCNA Quality Target Goals. Minimum of one year nursing experience preferred, not required. member will be providing, i.e. ; Peritoneal Dialysis (PD) or Home Hemodialysis. – Counsels patient and/or caregiver and formulates appropriate action. – Recommends treatment changes to the interdisciplinary team as appropriate. – Communicates with physician and/or facility staff regarding lab results as appropriate. – Communicates lab results and recommended treatment changes to providers of patient care in nursing facilities (i.e. hospitals, short term and long term care facilities). 4 week class session in Nashville, TN beginning January 9, 2017. We have a great CDL Training Program installed where we provide CDL Driver Training where students are able to obtain a Class A and after graduating, students are offered conditional employment at the local Terminal/DC. This next class will be starting January 9th, 2016 for the Nashville Terminal. Class will be held for 4 weeks, Monday through Friday and held for an average of 3-4 hours during the day. In order to enroll in class, they will need their Class A Permit, DOT Medical Card and TSA Receipt, in which is explained during the interview or phone call on how to obtain and get started on this process. Call 1-877-249-2271 for more information. Contact: Leslie Shaw at 901-220-1672, 901-969-2410 or leslieshaw@wfgm.org for more information. Job Summary: Safely operate Mid-South Food Bank vehicles and accurately pull orders for pickup and delivery. Create an onsite visitation plan. Create a store donation toolkit used when visiting stores. Create and maintain a contact data base. Become familiar with the receipt process for tracking and reporting donated pounds of food. Work with Agency Relations to establish a process for managing agencies participating in RSDP. Establish guidelines for Food Bank staff to ensure stores are ready for driver pickups and are following donation guidelines. Act as liaison between agencies and stores to increase donation frequency. Develop a plan to recognize retailers, working with Food Bank communications staff for food bank newsletter, website, social media, awards, etc. Develop and maintain a weekly activity report on donor visits and store-level interactions. Learn and develop a program for agency personnel on the use of Online Marketplace for RSDP. Job Summary: The Mobile Pantry Coordinator is responsible for collaborating with Mid-South Food Bank Partner Agencies and other community organizations in high need areas to provide access to fresh produce, frozen products and other close dated products. 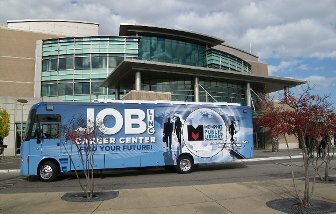 The mobile provides direct service to clients in an outdoor setting or in a large indoor space. Recruit a Mobile Pantry Volunteer Site Coordinator for each Mobile Pantry host site. Provide training to Mobile Pantry volunteers on proper safe food handling. Create and provide Mobile Pantry Site Coordinator with all screening and event promotion materials. Develop Mobile Pantry logistics/maps to ensure efficient distributions with host sites. Coordinate and stage prior to Mobile Pantry distributions all food products. Create invoice for all Mobile Pantry distributions for receipt of product delivered and payment required. Maintain accurate records of all distributions. Maintain at all times volunteer, client, and food safety. Must have insured vehicle, current valid Driver’s License and willingness to travel within Mid-South Food Bank’s service area. Job Summary: Assume full responsibility of the day-to-day operations in product reclaim and volunteer sort process. Must be able to lead volunteers effectively training on the proper way to sort donated product and uphold all safe food handling requirements. Must meet daily production goals. Apply in person Monday through Friday, from 9 a.m.- 4 p.m., South Dudley St., Memphis, TN 38104. No phone calls, please. Or, download the Employment Application and email it to: hr@midsouthfoodbank.org with “Employment Application” on subject line. “… the addition of the Rite Aid stores could add an additional 20,000 [employees] [emphasis added], according to a rough estimate,” said Rick Hans, chief financial officer of Fred’s. “We believe that this transaction will also create tremendous opportunities for both our new and existing front of store and pharmacy team members,” said Michael Bloom, chief executive officer of Fred’s. Source: McKenzie, K. (2016, December 21). Fred’s to buy 865 Rite Aid stores. The Commercial Appeal, pp. 1A, 2A. Current LEDIC Realty Company opportunities are shown below with the corresponding www.Jobs4TN.gov Job Order number. in order to be considered for a position. If you have questions or concerns, please contact Human Resources Employment at (901) 222-2327.